Residents should engage in this process. It’s also an election year for seven of nine council seats. The rezone process illuminates whether members prioritize concerns of people they represent or wishes of special-interests that receive immense benefits from more generous land-use policies. This is also instructive for other cities in the Puget Sound region that are being urged to follow Seattle’s lead. Broadly, Seattle City Hall is delivering a one-two punch to neighborhoods with policies crafted by developers and former Mayor Ed Murray in 2015. 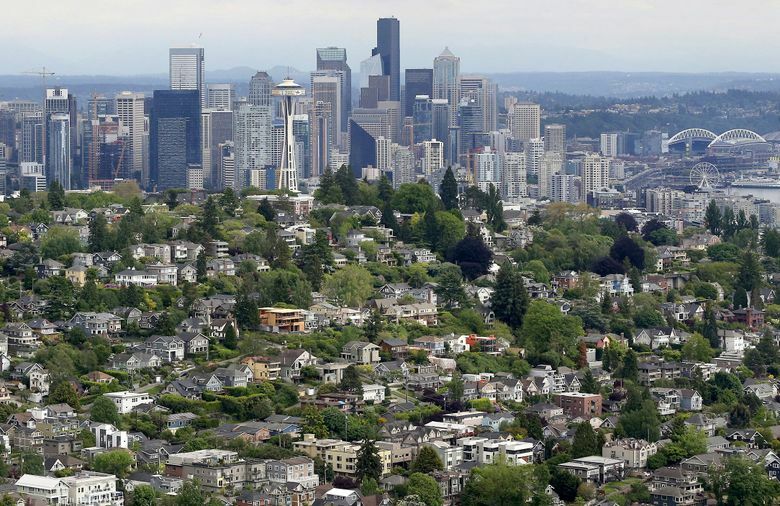 The city doesn’t expect either to make Seattle affordable, particularly for lower-income residents, though they’ll boost the city’s low-income housing fund. The first punch, which could be finalized soon, extends Seattle’s mandatory housing affordability (MHA) program from high-growth zones like downtown to the rest of the city. MHA requires developers to pay a fee or provide affordable units in new buildings. In return, the city is allowing taller buildings, waiving parking requirements and making other land-use changes that increase developer profits but diminish livability for existing residents. Upzones are happening not just in urban villages, where high-density growth should occur, but also in single-family neighborhoods. Never mind that Seattle’s growth plan says the city has ample capacity for growth without upzones. This is mostly about increasing opportunities to build in places that are built-out under current rules. Seattle’s MHA fees are also more favorable to developers than what comparable cities collect. Despite record levels of development, the program has fallen short of goals for affordable-housing production. Last Monday and Wednesday, the council reviewed dozens of changes to the MHA policy (Council Bill 119184), increasing density in some areas and lowering it in others. A public hearing is scheduled for Feb. 21, a preliminary approval vote Feb. 25 and final approval is expected March 18. Many individual lot changes floated Monday and Wednesday don’t mesh with the city’s MHA environmental review, according to a staff report. The combined effect of all changes should be assessed to see how it changes the analysis of tree loss, parking, displacement and other impacts. Coincidentally, the review is still incomplete, since a hearing examiner said it failed to adequately address historic sites. Also in the works is a companion policy — the second punch — that would upzone nearly all single-family lots, allowing them to become rental properties with up to three units or more if lots are split. This is facing a second appeal by neighborhood residents, but Councilmember Mike O’Brien hopes to proceed early this year. Pressing forward at this pace, over concerns of neighborhoods, calls into question the council’s commitment to meaningful public participation. Its one-size-fits-all approach is not only bad planning, it’s an indictment of the council’s move to district representation. Why bother if members won’t demand impact analyses of individual neighborhoods they represent? The council should pause and merge both upzone proposals, so the combined effect is clear to people most affected. Then it should conduct neighborhood-by-neighborhood planning to see what works where and build consensus. For Seattle residents, 2019 may be a year of massive change. They must get involved to preserve some of Seattle’s greatest assets, hold representatives accountable and push for change on the City Council. Correction: An earlier version of this story, originally published Jan. 18, incorrectly identified MHA. It stands for mandatory housing affordability.